When it comes to authenticity and integrity in doing business, branding, and marketing, we at Tracking Wonder have a simple tenet: Elevate, don’t manipulate. In our times we have an opportunity for businesses and brands of all sizes – from the company of one to the mega-corporation – to step up and do business-as-unusual. People in the early 21st century are hungry to engage brands they can trust. They want brands that lead with their ideals and that genuinely provide value in more than a money-for-product/service way. We want to Elevate & Highlight each month some of our favorite brands who have a keen entrepreneurial eye yet who also don’t sacrifice their mission for the bottom line. We’re also including some of what we see in the conversations and cultural moments of branding and innovation. Let us know what speaks to you. Who Are They: Founded in 2010 by students at the Venture Initiation Program of the Wharton School of the University of Pennsylvania, Warby Parker is run by friends Neil Blumenthal, Andrew Hunt, David Gilboa, and Jeffrey Raider. What Do They Do: Prescription eyeglasses and sunglasses, primarily sold online although there are now stores in the US and Canada. Major Milestone: In 2010, the company was founded with $2500 seed money provided by the Venture Initiation Program. In March 14, 2018, Warby Parker raised $75 million in Series E funding, making its total funding about $300 million. What’s their story? Five years after its formation, the chic glasses company had firmly established their place as a beloved brand valued at an estimated $1.2 billion. Warby Parker’s brand loyalty comes from its two main superpowers. Firstly, they offer customers the opportunity to try on glasses for free, to decide which is the perfect pair for them. This unique business practice – of trusting customers to take frames and return their unwanted ones – has served to dull criticisms leveled at how solitary and isolating online shopping can be. This practice has put customers at the heart of what WP does as a brand. In a relatively simple move, the practice has answered a question that a lot of product-based businesses have to contend with: How do you rival the experience of shopping in-store online? The answer: Take away their fear and give them delight. Warby Parker’s other superpower comes from their partnership with VisionSpring. Since Day 1, the Buy a Pair, Give A Pair program, has seen a pair of glasses donated for every pair bought. In an age of increased cynicism towards the notion of charitable giving, Warby Parker is showing that it’s possible to serve your ideals without compromising your bottom line. While you might think that Warby Parker has enough going for the brand to help it stand out from the field, part of their strategy has also been to highlight and elevate in turn their own heroes. In partnership with the Robert Rauschenberg Foundation, Warby Parker created the ROCI frame. A limited edition, this highlighted their distinct literary personality, as well as incorporating WP’s dedication to social justice. Closer to home, it’s an honor for us to see how our Tracking Wonder clients and friends develop and grow. This month we want to Elevate & Highlight The International Women’s Writing Guild. 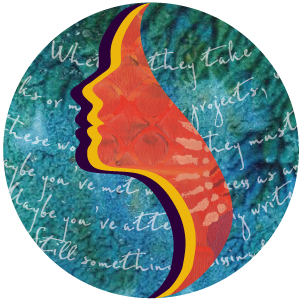 Who Are They: Founded in 1976, they are a culturally diverse women’s writing guild. What Do They Do: Recognizing the lack of support and awareness of women’s voices in literature, the goal was to create a space and place where women could write together in an environment of mutual support and learning. Why Do We Love Them: We worked with them to help create their Brand Story, Strategy, & Identity, so that they could captivate more women and inspire the Board itself. We’ve seen them take these tools to create a global powerhouse & digital village to lift up mighty, soulful women writers both online and in the world. From AR to AI, the business innovations of 2018 are AI, customer innovation, sharing, and of course, blockchain. One of the key points made by the global consulting firm Accenture in a recent forecast of the five technology trends likely to unfold during the next three years. The report shows how companies can tap into emerging technologies.